QUITO, Ecuador, May 25, 2016 (ENS) – Seismic explorations planned by Chinese oil company Sinopec at the headwaters of the Amazon in the remote jungles of Ecuador have led the Ecuadorian eco-tourism company, Tropic, to close the internationally recognized and award-winning Huaorani Ecolodge. This community tourism program is operated in conjunction with the Huaorani indigenous people on the fringes of Yasuní National Park. 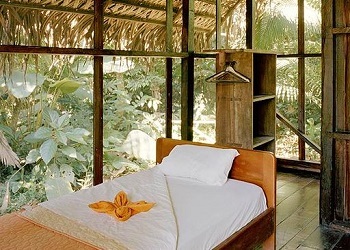 Tropic Ecuador will close the lodge until further notice says Jascivan Carvalho, director of Tropic Ecuador, a National Geographic award-winning ecotourism company based in Quito. Since 1994, Tropic has led tours through Ecuador’s most engaging landscapes. These have included the rainforest region occupied by the Huaorani who, since 2008 with partner Tropic, have worked to stabilize a biologically diverse but ecologically threatened region of the Ecuadorian Amazon. Planned seismic explorations for oil are scheduled to take place close to a landscape that for millennia has been home to the Huaorani, which means “human beings” or “the people.” Only in the middle of the last century were they introduced to civilization beyond the rainforest. 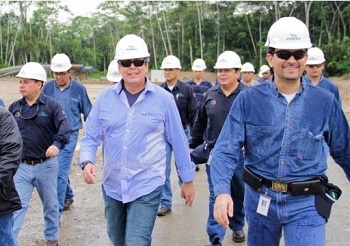 Sinopec, contracted by the Ecuadorian state oil company Petroamazonas, is carrying out seismic exploration in Block 21 within Huaorani territory where the lodge is located. “Unknown to Tropic, until recently, Sinopec has been conducting negotiations with the Huaorani communities located within the area,” said Carvalho. Over the years, the lodge, owned by the Huaorani communities, has provided work for some 90 people while supporting an additional 250 family and community members. It was established on the principle that sustainable, environmentally friendly alternatives to oil and other extractive projects can be profitable for local communities, offer young Huaorani people an alternative to migration, and bring in foreign exchange. 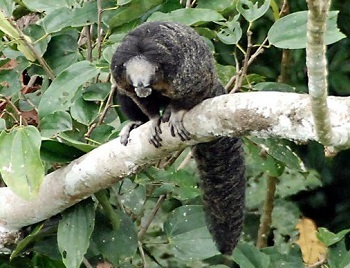 Carvalho noted that Ecuador’s government has said its mission is to further sustainable tourism, which brings visitors into indigenous communities such as those of the Huaorani. “However, another apparently more powerful mandate is to harvest oil and in this case, in this community, this mandate is overriding sustainable tourism,” he said. “We are shocked by the lack of communication and by the cavalier attitude of Sinopec who have divided this community and turned people against each other – and against us,” said Carvalho. “The Ministry of Environment approval of the testing will also send a clear message that ecotourism as a sustainable alternative is simply not being given the support it needs to flourish and to benefit indigenous communities in Ecuador,” he said. The news that the lodge will close, perhaps permanently, comes on the heels of accolades from National Geographic that singled out this community project to receive a World Legacy Award for Engaging Communities inpromoting benefits that directly improve local livelihoods. While the clock is ticking before explosives are set for the seismic explorations, Carvalho said he has requested a response from the government about what can be done at the 11th hour. “The Chinese are in and will stay until the job is finished which could be another six months. Right now because of oil-related activities it is dangerous and aesthetically unrewarding to our guests to bring them to his region,” he said. The region at risk encompasses Yasuni National Park, a UNESCO Biosphere Reserve that is home to as-yet uncontacted indigenous tribes, including the Tagaeri and the Taromenane. The interest these ancient people now show toward their ancestral land here has encouraged natural reforestation along waterways. This has led to more frequent sightings of wildlife whose habitat is no longer being suppressed. Biodiversity is here in abundance: At least 200 kinds of mammals, including jaguars; 121 documented species of amphibians; 382 known species of fish; 596 known bird species; 117 species of bats and more than 100,000 different kinds of insects live here in numbers not found anywhere else on Earth. 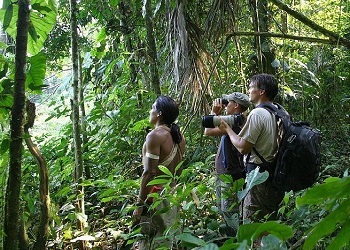 In 2008 Tropic assisted the Huaorani to form a five-community tourism affiliation to help secure the tribe’s health and heritage through the tools of sustainable tourism. Members of this tribe were trained to work at the award-winning, five-cabin Amazon rainforest lodge that they built of traditional materials harvested from Yasuni National Park.